When you get diagnosed with depression, or any mental illness, the first thing you might feel is relief. The realization that your feelings, struggles, and symptoms can be described by a diagnosis can make you feel better – you aren’t alone! But the second thing you might feel is embarrassment, shame, or guilt. You aren’t alone in that either. There is a lot of stigma when it comes to mental illness. Most people with mental illness go through a process of understanding, accepting, and figuring out how to manage their illness. When I was diagnosed in high school at first I felt some relief, but soon enough I was really conflicted when it came to defining my identity. Who was I? Was I the same person? Was I “crazy”? I didn’t want anyone to find out about my mental illness, and honestly the best way to do that was through treating it so I could actually manage my symptoms. But I was really afraid to take medication. For a long time I denied that I had a mental illness and refused to take any medication because that felt like I was admitting that I was “crazy.” I worried that taking medication would change who I was. Would I act differently? Would I still be fun? Would I still be smart? Who would I be after taking medication? My family and my psychiatrist wanted me to take medication but it seemed scarier to try medication versus living with my symptoms. At least my symptoms were predictable! I understood my depression, I knew how my mental illness felt, but taking medication was a big unknown. However, I really wasn’t able to live happily, I wasn’t able to accomplish my goals, and I wasn’t able to have healthy relationships. I realized that my mental illness wasn’t going to go away and I was so miserable! Maybe the medication would change me, but considering how terrible I felt I realized it might change me in a positive way! I wasn’t enjoying my life and medication seemed like a way to hopefully make it better and make me healthier. You know what? When I started medication I was the same old me, just a version of myself that could accomplish her goals and feel much more confident navigating life. I was still fun, smart, but I did act differently – it was easier for me to participate in life! With my unchecked mental illness I spent a lot of time on the sidelines. I struggled to keep up with my friends, control my moods, do well in school, and make plans for the future. Medication became a tool that helped me live my best life. Medication isn’t the answer for everyone. But I realized that I needed to discover who I was, what I was capable of, and explore my full potential as someone who took responsibility for her illness, and medication helped me get there. I still go to therapy and finding medication that works for you is often an up-and-down process you need to revisit, but overall I like myself better when I’m actually making decisions, not my illness. Have you felt like medication might change your personality? 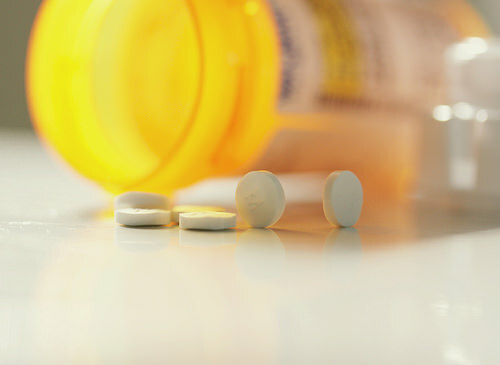 If you’ve tried medication, what was your experience? Share in the Comments section below. 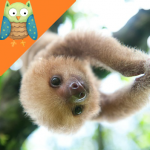 I am a SOVA team member who also loves sloths and writing!